Did you make getting hitched part of your New Year resolutions? Well, it’s good to put a ring on it as a sign of devotion to your beloved. However, creativity is important if your wedding is to linger in everyone’s memory. It requires thinking outside the norm. The best idea to achieve this is to plan a destination wedding in an exotic and beautiful location. No other place beats Costa Rica to fit the description for a dream wedding destination. Let’s show you how to plan an ideal wedding step by step. Also, read tips to plan an event successfully. 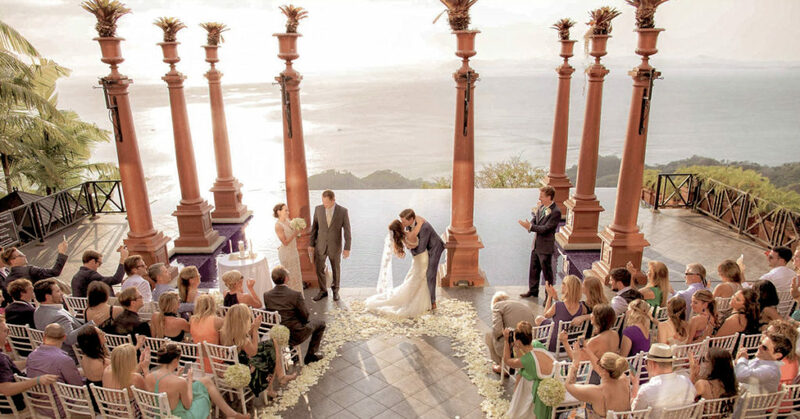 Costa Rica has multitudes of beautiful locations suitable to host a wedding ceremony. However, a popular choice is the beautiful beach. Places such as Jaco Beach nestled in the western part of the country offer a relaxed and chilled out atmosphere. In addition, you can’t forget to notice its amazing white sandy beaches. Alternatively, you can choose a water resort with an ocean view location or a beachfront villa with glimpses of the sparkling ocean and beautiful floral gardens. For the more adventurous type, a location in the volcanoes will give your ceremony a dramatic backdrop. It’s important to understand the best time to have your wedding in Costa Rica. December to April is the best time to tie the knot in this exotic destination. You’re less likely to get disturbed by the rainy season. It’s an ideal time to have your wedding under the bright Latin American sun. However, those on a low budget can have their wedding during the rainy season. Travelers are few and the prices of everything are considerably down. This is a wonderful idea to have a budget wedding in an exotic destination. For those not getting married in a Catholic church, you should have a lawyer. The lawyer knows the necessary documents required by Cost Rican Civil Registry. Additionally, your lawyer will send these documents to your local embassy. An experienced lawyer is required to speed up the process. Keep in mind than receiving your final documentation can take up to three months. Planning a wedding remotely is not easy especially in a foreign country. Therefore, it’s a great idea to book a professional wedding planner to oversee the process. This will save you a lot of stress and panic. It’s easier to find a wedding planner online so that you arrive in Costa Rica worry free. The wedding planner will have everything planned just the way you’ve ever imagined your dream destination wedding to be. It’s fun to have your wedding ceremony in a laid back and relaxing Costa Rican location. And, you won’t have to worry about taking a plane to another destination for your honeymoon. Kotlin or Java: What to Consider for Android App Development?